Don't miss your favourite programmes again! Record 1 channel while watching another. Record 2 channels simultaneously while playing back a previous recording. Provides you with up to 300 hours recording on a massive integrated 500GB Hard Disc Drive. 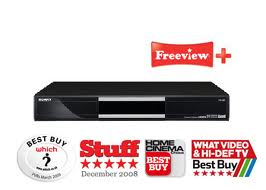 As a twin tuner PVR, you can record one channel whilest watching another. Furthermore, you can record 2 channels simultaneously while watching a Third or playing back a previous recording from the HDD. 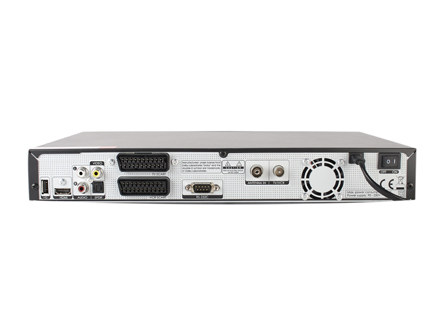 Equipped with latest technology and design, the PVR-9300T is ideal for digital terrestrial reception and offers up to 300 Hours of recording with its integrated 500GB HDD. With simple installation and operation, the 9300 offers a user-friendly OSD ( on screen display), along with the highest quality picture and sound output from the HD upscaled HDMI output for an enriched viewer experience. With its highly sensitive tuner for better reception this recorder boasts an 8 day Electronic Programme Guide (EPG), for even better programme information on all channels. It has digital teletext, interactive features and also the ability to display and record subtitles, which can be switched on or off during playback.